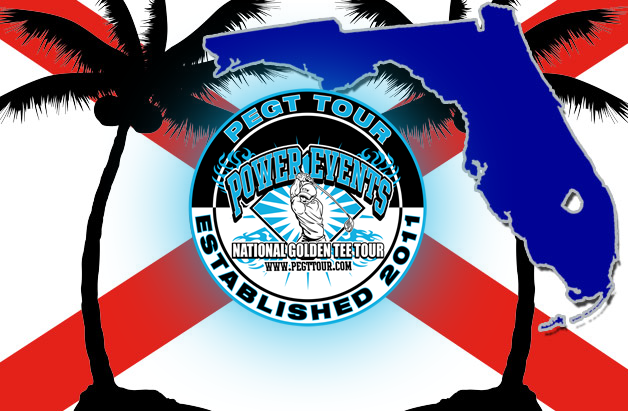 The first stop on the 2019 Power Events Golden Tee Tour is only just a few short weeks away! For those of you experiencing below-freezing temperatures or dealing with a ton of snow like us in the Midwest will appreciate the fact that this event takes place in the sun and warmth of Orlando, Florida. The PEGT Tour returns for a ninth year with six separate stops, and it all begins at Sidelines Sports Grill in Orlando on February 7 through February 10. The tournament weekend begins on that Thursday with Closest-to-the-Pin and Money $hot events. The entry fee is $10 a piece and these contests will be double-elimination. It's a fun way to kick off what will undoubtedly be an amazing weekend of GT! On Friday, focus will shift to the handicap tournament, a very popular night where many players get the chance to win their entry into the Saturday main event. It will begin roughly at 7:30 p.m. and be single-elimination. Entry is $25, and you must have a valid GT handicap to enter. The following day, Saturday, the main event will begin at noon. All participants will take part in a five-course qualifier on the 2019 courses. Just like last year, our first remastered Golden Tee Fore! course is now available and will be played in match play throughout the weekend. The five-courses for qualifying will be drawn at random on Saturday morning. The 32 players with the combined lowest scores will be placed into the main bracket. All other players will be thrown into the purple bracket. Tournament entry is $100. There is also the option to pay $20 to be included in the hole-in-one side pot. After qualifying is done there will be a blind draw doubles tournament that will take place on classic courses. Doubles will be $15 per player and double elimination on the winners side. Early Sunday afternoon things really kick in to high gear with double-elimination match play to decide the winners of both brackets. By evening, the first Power Events' tournament champion of 2019 will be crowned. As one of the Tour's strongest supporters, Sidelines Sports Grill will be rocking all weekend long. The energy and the atmosphere at this event is always off the charts and it certainly looks like it remain that way in 2019! If you have not attended a GT tournament yet—-and you’re tired of the cold and grey and snow—-this might be the one to try. 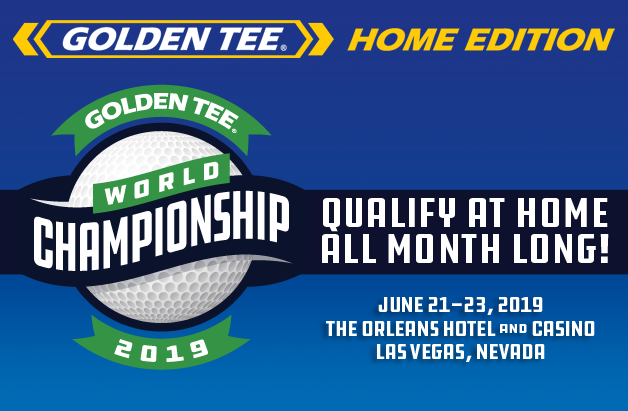 You can always follow along with the action on Golden Tee's social media accounts on Facebook, Twitter and Instagram. Golden Tee TV will also be along for the ride, streaming all the action from the weekend LIVE on YouTube and Twitch! And if you have attended an event before and are looking for more action, and who can blame you, try the 2019 Florida Open on for size. Visit PEGTtour.com to sign up if you’re ready. Walk-ups are certainly welcome as well. We hope to catch you in the sunshine state of Florida in a few short weeks!